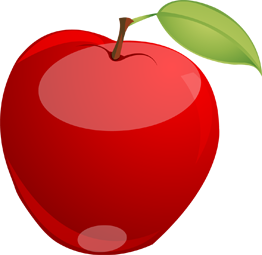 Would you like to monitor your child's Internet usage but need a Mac OS X compatible solution? These Mac-compatible monitoring software solutions are the best we've found. See our reviews below. We feel your pain Macintosh users! This review section took us the longest to complete because there are so few Mac monitoring spy software solutions available. Mac monitoring software allows you, as the parent, to monitor kids internet activities online. With the many choices of monitoring software to choose from, how will you know which one is right for you? Below, you will find the top Mac solutions for spy software. Mac Monitoring Editor's Choice Award! AceSpy Mac edition makes it effortless to secretly see what they do online while you are away. When you install, it will begin secretly recording every thing that is completed on your Mac. The software is completely hidden from the others. This software records absolutely everything they do with real screen captures and text logs of keystrokes and more. Based on our evaluation of AceSpy Mac monitoring software, we found this product has the best feature set, priced well, and does what most parents require in a Mac monitoring product. 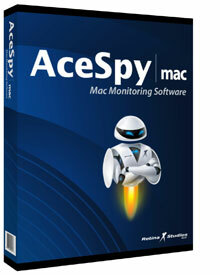 AceSpy Mac was awarded the MonitoringSpySoftware editor's choice award! Password protection after hot key. If you need to remotely monitor your Mac computer, SniperSpy Mac should be your choice. 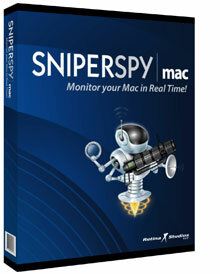 SniperSpy Mac includes all of the features from their SniperSpy PC edition including the ability to monitor and watch your Mac computer from anywhere that has an Internet connection. How cool is that? During our review of SniperSpy Mac, we found frequent software updates, an excellent remote monitoring feature set, and a finely tuned back end for log viewing. The main con we found with SniperSpy Mac was the price. SniperSpy Mac, even with discount, is $18.00 more expensive than their AceSpy Mac product. If you do not need remote monitoring capabilities and don't mind viewing your log data on the Mac being recorded directly, than see our AceSpy Mac review. Shut down the system remotely. Keystroke Spy for Mac is a really powerful software that will log keystrokes users type and capture screenshots of all activities. 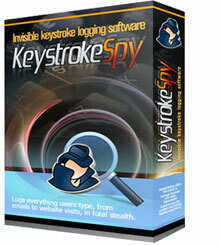 Keystroke Spy for Mac OS X can run in complete stealth, deliver keystroke logs to you remotely via e-mail, as well as alert you when specific key words are typed. With Keystroke Spy you may have the ability to log sites users visit, emails they send, chat conversations, social networking activities, applications they interact with, typed docs, and see everything they did with visual screenshot recording! Captures Screenshots of All Activities. Logs Website Visits and Online Searches. Logs Chat and Email Messages Sent. Logs All Social Networking Activities. Sends Activity Logs via Email. Alerts when Specific Phrases are Typed. Installs and Monitors in Minutes. 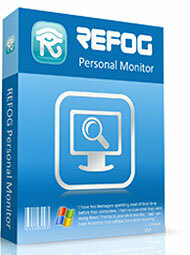 Refog Personal is an easy to use key logging software that is easy to use. This will come in handy if you have interest in monitoring your home computers with parental monitoring software. Refog Personal is a good type of spy software that's great for both personal and office use. You can use this software to monitor the activities of your child's Internet habits. Refog Personal is the right solution both for remote monitoring or local monitoring of the activities both online and offline on computers that have this software installed. It has many functions that you'll find essential to keep your homes and offices safe and productive.